Manchester United welcome Everton at Old Trafford on Sunday in a game that has been touted as Wayne Rooney’s homecoming to Old Trafford for the first time since swapping the 20-time English champions earlier in the summer. 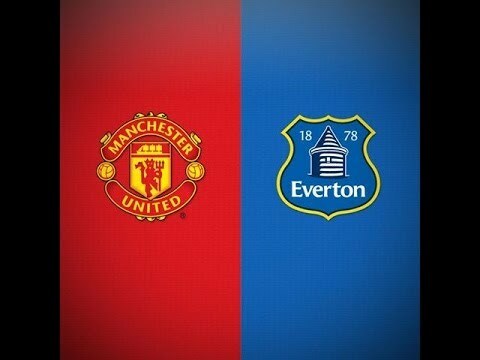 The former United captain brings a Everton team low on confidence after three consecutive defeats, and the Toffees also come up against former striker, Romelu Lukaku, who has hit the ground running with 4 goals in as many league matches for United. Last time out, Everton lost 3-0 at home to Tottenham while United were held to a 2-2 draw away at Stoke. We take a look at United’s predicted lineup for the clash against the 1995 FA Cup Winners. After not conceding for the first three games of the season, David De Gea was finally beaten for the first time at the Bet365 stadium, and barring any major injuries should be in goal against Ronald Koeman’s side. United’s defence has been the best this season so far and will be looking to add more to goal-shy Everton misery. Antonio Valencia will likely start at right back while in the heart of the defence, Jose could plump for Bailly and Jones again despite Lindelof and Smalling impressive display against Basel in the Champions League in midweek. Bailly and Jones have been impressive and should feature from the starts against Everton. At left back, Daley Blind should continue his rich vein of form. Influential midfielder, Paul Pogba is out with a hamstring injury meaning that Jose has to make a big decision as to the partner for Nemanja Matic. The 29 year old Serbian has looked decent in his appearances so far and has added solidity in the middle of the park. Marouane Fellaini should partner him as the Belgian has impressed despite his limited opportunities. In attacking midfield, Marcus Rashford is expected to keep his place on the left after impressing in midweek while in the hole behind the striker, Armenian playmaker, Henrikh Mkhitaryan will be looking to add to his impressive 5 assists already this season. Juan Mata should feature on the right and will be looking to cement his place in the first team. 4 goals in his 4 league matches suggest that Lukaku will have a big season at the Theatre of Dreams, and against his former club, the motivation is there to show them what they are missing. Probable lineup: De Gea, Valencia, Jones, Bailly, Blind, Matic, Fellaini, Rashford, Mkhitaryan, Mata, Lukaku.